Alkistis Economou and husband Konstantinos Vossos ’93 moved to Madrid, Spain, with their two children and really enjoy living there. Alkistis would love for anyone visiting Madrid to please send her a note. She would love to get together after all these years. Brad Johnson is back at Owens Corning where he is responsible for roofing contractor relationships. 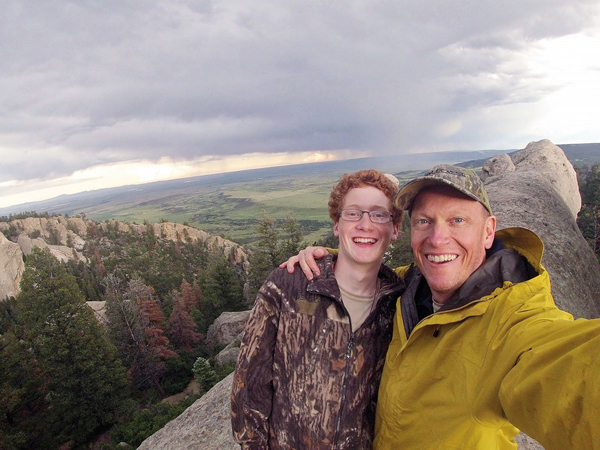 He and son Randall hiked more than 80 miles in 12 days with a crew at Philmont Scout Ranch in New Mexico. After nearly 13 years in D.C., Emily (Malatesta) Kelton is headed to Colorado. She, husband Steve and 4-year-old twin boys arrived in Boulder at the beginning of August. She is particularly interested in the startup/social enterprise community in Boulder and is open to business development, fudraising and leadership roles for companies, nonprofits and universities. She would love to connect with any Kellogg folks in the area and can be reached at emilykelton@gmail.com. 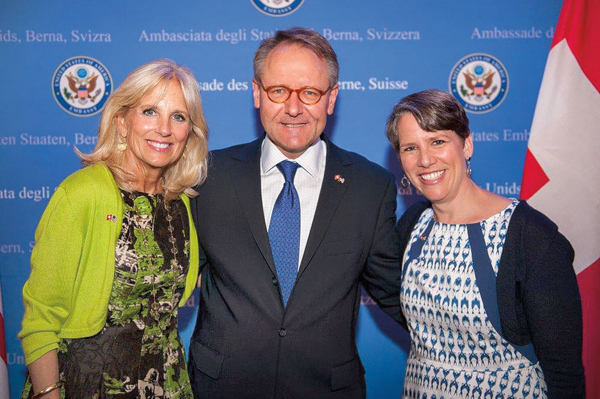 In Karl D. Safft’s function as president of the Swiss Fulbright Alumni Association, he had the privilege to discuss aspects of the Swiss education system with Dr. Jill Biden, wife of U.S. Vice President Joe Biden. Dr. Biden recently visited Switzerland to learn more about their vocational training program. Steve Schultz founded Moveable Feast Mobile Media. The app is based on the idea that there’s a whole new storytelling ecosystem that can grow up around walking tours, but never could before mobile technology. Moveable Feast isn’t about points on a map; it’s about how points on a map can come together and tell a story. Instead of focusing on points on a map, Moveable Feast focuses on routes and stories.